Hi guys my names Brodie and I've just purchased an 09 wrx. No pics yet but here's a few details. Unsure who/if tuned. Will be throwing it on a dyno ASAP to check afr's. Owner has sprayed stock wheels yellow which looks horrendous! Have already ordered all the vinyl bits to replace the ugly chrome boot and window surrounds. Mods will come gradually as I've just finished building a house and saving for Europe for xmas!! Look forward to going on some cruises! Welcome. Glad to hear the yellow wheels and chrome trims will be seeing the bin. Welcome mate! Nice pick up! Keen to see some pics soon ! Nice welcome! I think i saw that car for sale did it have west-coast eagles plates ? Last edited by SolarFilms; 05-05-2015 at 01:13 PM. Yeh mate had eagles plates. They traded it to a dealer before I could buy it private so ended up paying a bit more. check my thread out of my 09 and how it's changed since the last time you probably saw it. Not much performance upgrading yet it is my first car after all but down the road. Last edited by SolarFilms; 15-05-2015 at 04:47 PM. Welcome. One suggestion - get 18's! 17 inch aftermarket wheels look horrendously small in the G3 arches. Well done for choosing a sensible offset though. 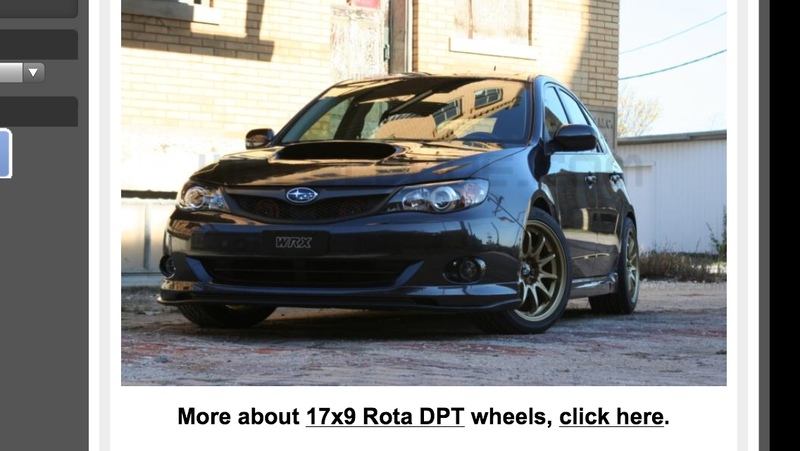 17's are lighter but aside from looking a bit small they will limit your brake upgrade options if that is something u r considering down the line. "ALLPAWS" 2014 WRX RS 40 - modding very slowly. Crotch Rockets . . . These are 17's and I think they look ok?